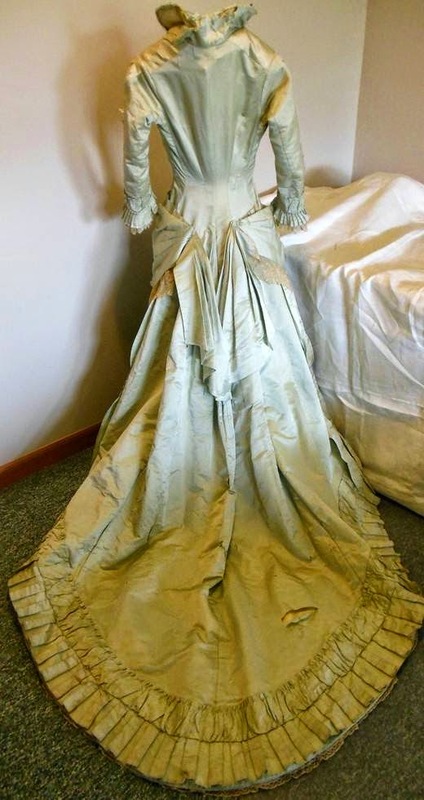 This is a gorgeous one piece formal gown or perhaps a wedding dress. 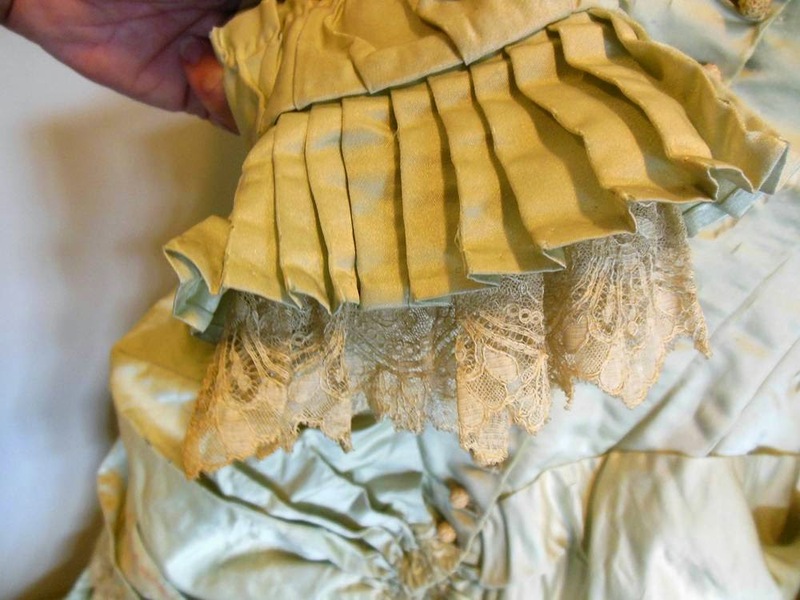 The dress is made with a very light sage green silk with an ecru lace trim - very elaborate. It has a train and a bustle. This dress has a hook and eye closure and small buttons with 6 stays at the waist. 63" from the neck edge to the floor. 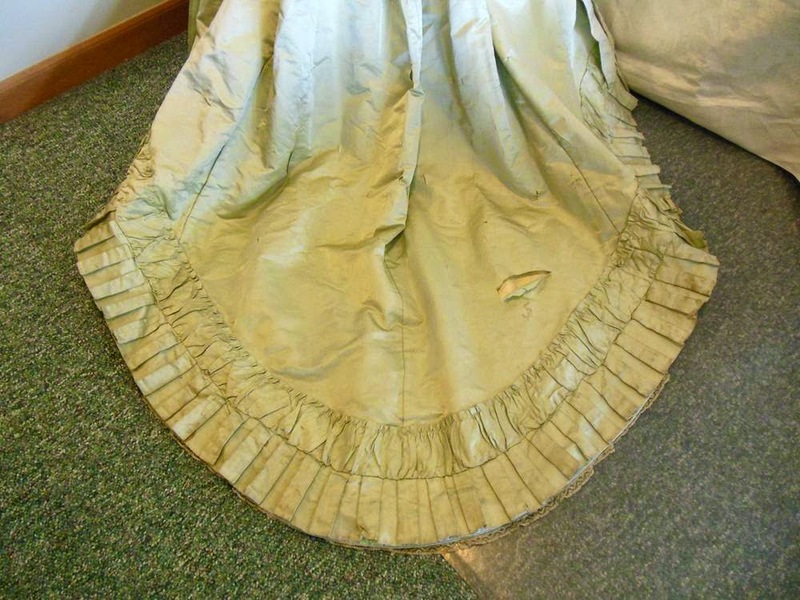 This dress is very old and the fabric has started to disintegrate as you can see in the pictures. 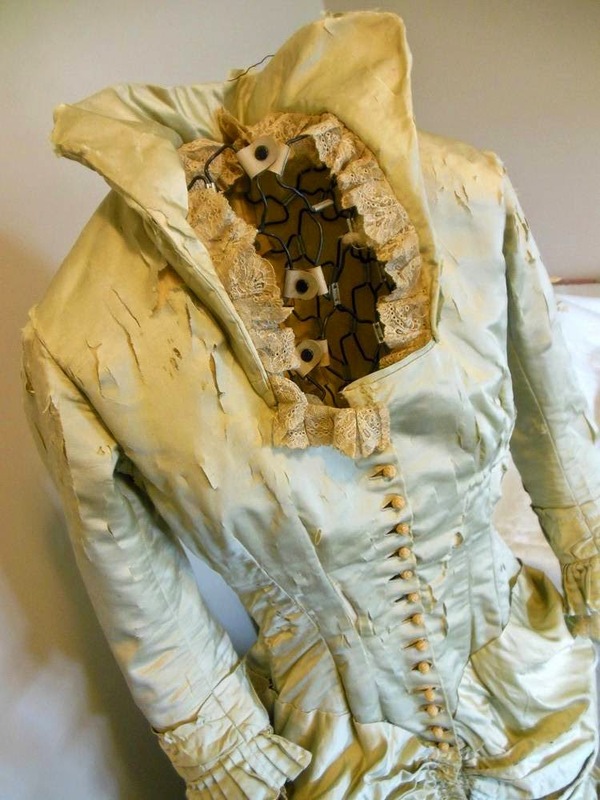 Despite the splitting silk, you can tell this was quite the stunner in its day. 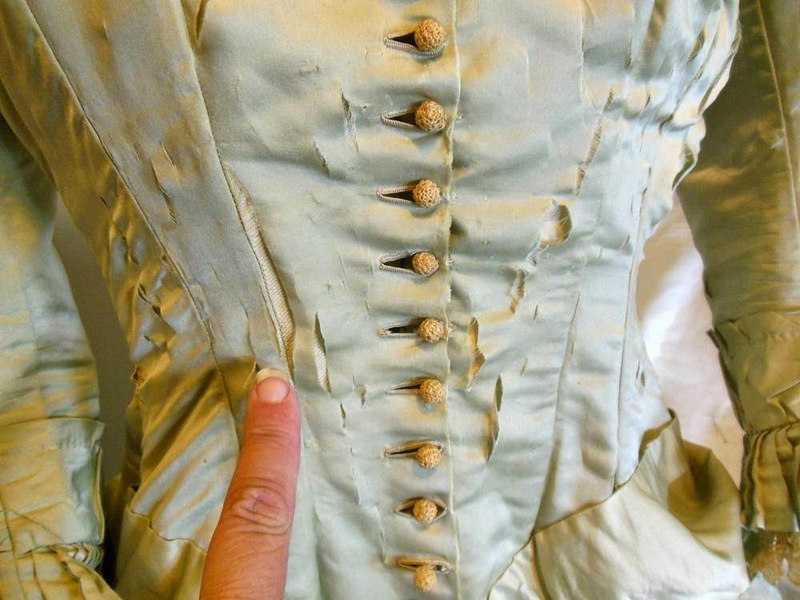 To me, it doesn't look like it has a bustle - it looks like it was supposed to lay flat as your bum can get in the back but with the sides pulled back. 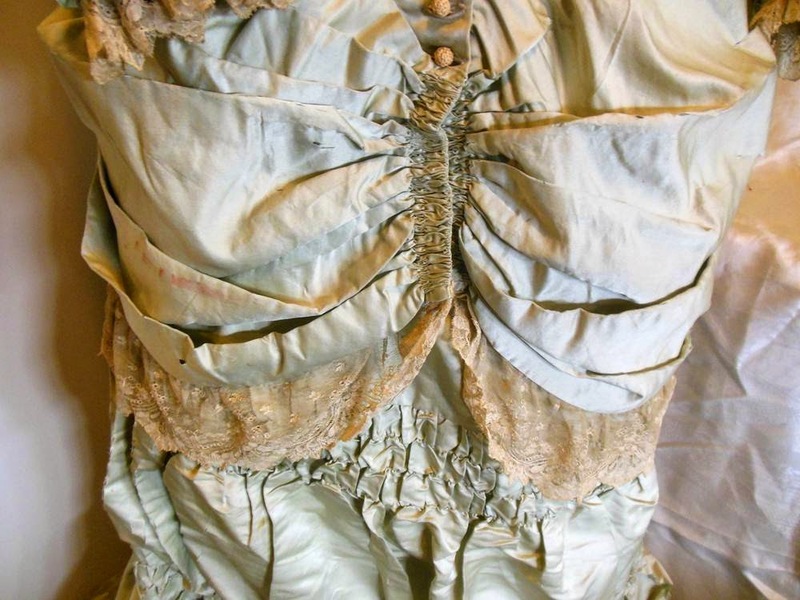 This is pretty common in natural form era dresses. 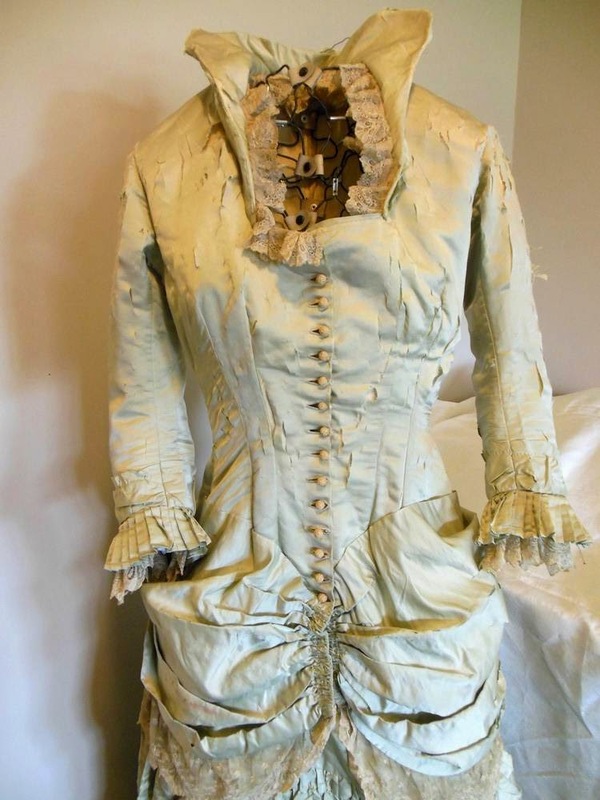 1876-1882 was when they were "fashionable". 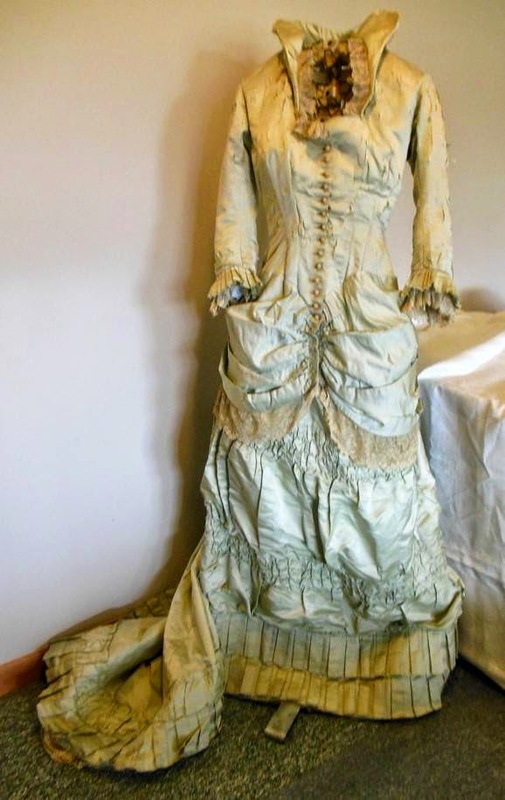 Like any fashion, ladies continued to wear the dresses once they were passé unless you were a fashion follower. So, you can get away with wearing the style for a pretty decent chunk of time for a single fashion.